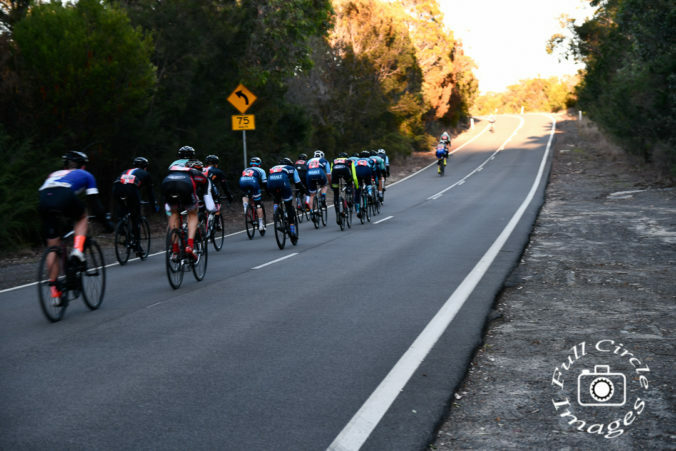 The riders rolled into the MWCC Pillar of West Head on Sunday and were met with nothing but clear blue skies and a relatively warm National Park for July. It was here that Manly Warringah, would start their climb back up the ladder, to take back the lost ground, grade by grade, podium position by podium position. At the end of the day, as the fog of war eased over the rolling parcours, the sky blue of MWCC now has a firm grip on the Helmet of Kratos. MWCC had released hell. The SUVelo contingent arrived with that glow of success that came with a successful round 1, but they would soon realise that once you hit the Northern Beaches, it isn’t all conceded passes and participation points once you pin on a number in the Elvina Walking Carpark. The only SUvelo rider who would find the top step on the day would be a graduate who know does bare knuckle fist fighting in the corporate legal world. Jennifer Darmody ensured that at least one top step who come their way and it was a vital collection of points at that. 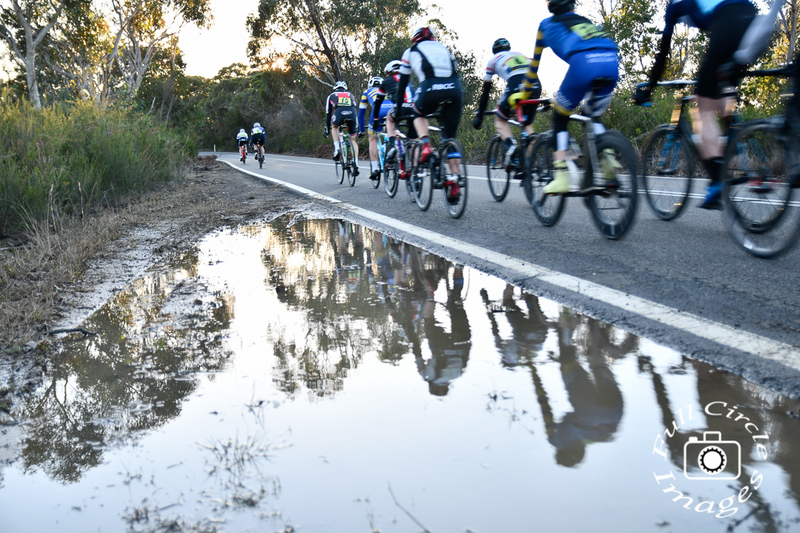 The A Grade field was a different field compared to round one due to many of the Knights of the Round Table being required for duty in the NSW RAW NRS road race that was happening at the same time. It would allow many club riders their chance at glory and the harshness of West Head would soon be apparent. 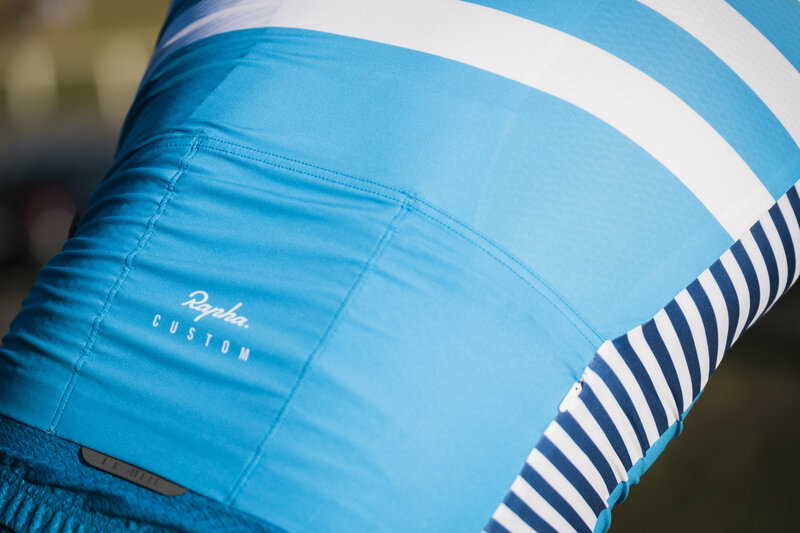 Unlike Heffron Park, where sitting in the group can allow for a rather gentle roll around, the constantly changing terrain of West Head truly tests the strength of the riders. This field absolutely exploded in the later laps of the 96km race to the extent that only 5 riders would make it to the finish line. Three riders would break clear midway through the race with Matt Dinham, Andrew O’Neill and Mick Cupitt going clear and they would be chased by the field but only Dan McGuigan and track star come mountain goat Dan Van Der Laan of SUVelo would be able to last the distance but never make contact. It does raise questions, everyone remembers when Sir Bradley Wiggins turned himself from track star to Yellow Jersey winner and one must wonder, if any secret parcels have found their way towards Dan who is now effortlessly coasting up the climbs. Mick Cuppitt may have killer calf muscles and the knowledge from his NRS days, but this Northern Sydney rider was simply worked over by Dinham and Club Champion Andrew O’Neill. In a textbook edition of teamwork, they just kept Cupitt chasing one of them down, before Dinham decided to close the door and go solo, O’Neill bided his time and then once he saw a moment of weakness in Cupitt, he put him to the sword. MWCC 1 and 2 in A Grade – how do you like them apples? A Masters is one of the best races going in Sydney and is open to anyone over 40. If you want to know where you sit on a State and National level, then this race will give you that measure. There are numerous State and National titles scattered throughout the field and with a race distance of 96kms, it is one for the hard nuts. Showing super form Cameron Judson in an undercover role for Harlequin, powered away with Tim Curry of SUVelo and these two riders would never be caught and they would go 1-2. 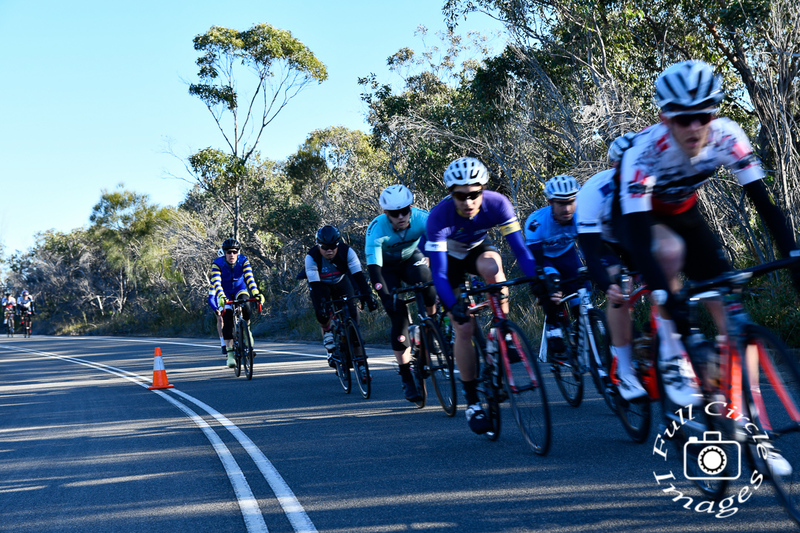 A late attack by Colin Carrigan of MWCC looked like he would take the final spot on the podium but he was cruelly caught metres from the line by a fast finishing Alex Gardner of Harlequin, John Peppard of Easts would take fourth and Nate Bonarius would round out the top five. Due to the field size of B Grade, this was split into two groups, with equal representation across both fields. The standout ride was that of Chris Ball from MWCC who went solo early in the race and he was out there for a long time before being joined by Chris Hinds of NSCC and Peter Bradley of Cheeky Racing. Chris has been trying this the last few months and it has never stuck, it did this time and as a result, MWCC have already said, time for you to go to A Grade. The second B Grade group was something a little different, while it stayed together, in some sort of clitch in the space time continuum the race was won by Chris Parson of Randwick Botany and to continue the kink in the vortex, followed by Shariff Shockair of RBCC – 1-2 RBCC, has this ever happened before in any sort of race? What kind of witch craft does this involve? 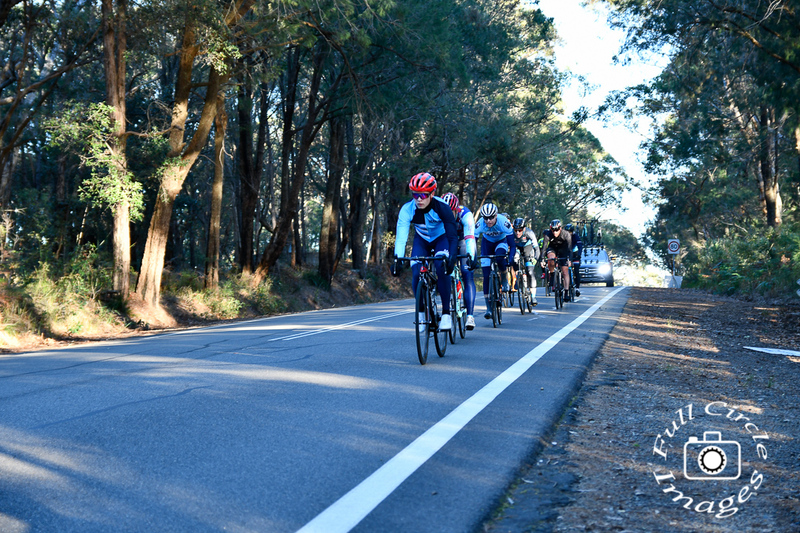 C Grade was split into two groups, the first group contained our professional women and our U/17 riders along with a collection of other riders. 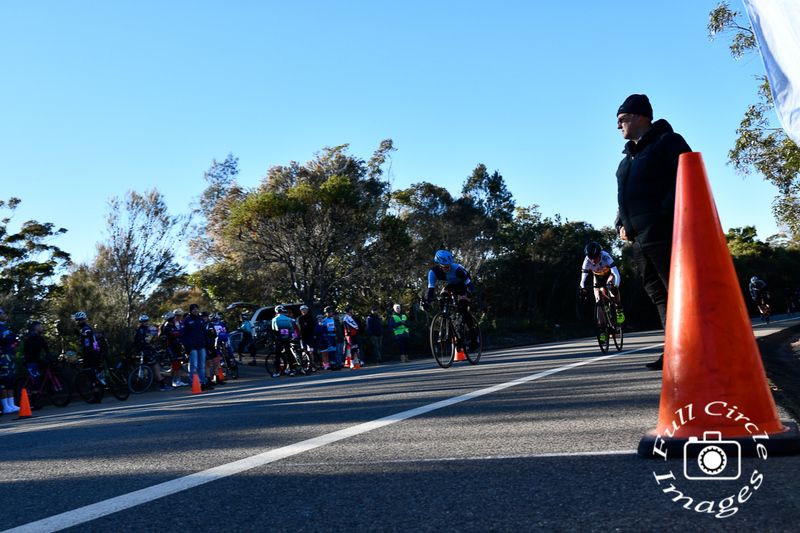 It would be the U/17 riders who would dominate in the sprint for the line with Jamie Dunn of MWCC getting a good bike length on round one winner Lackie Sky of NSCC and Hugh Phillips of MWCC would be third. First female over the line was Jen Darmody of SUVelo ahead of Edel O’Hagan of SuVelo and India McLean of MWCC. The second C Grade race would fall to Carlos Domingues of Cheeky Racing ahead of Michael Hart of NSCC and Jesse Morley of SuVelo, who I am sure would have had some B Grade experience at West Head. 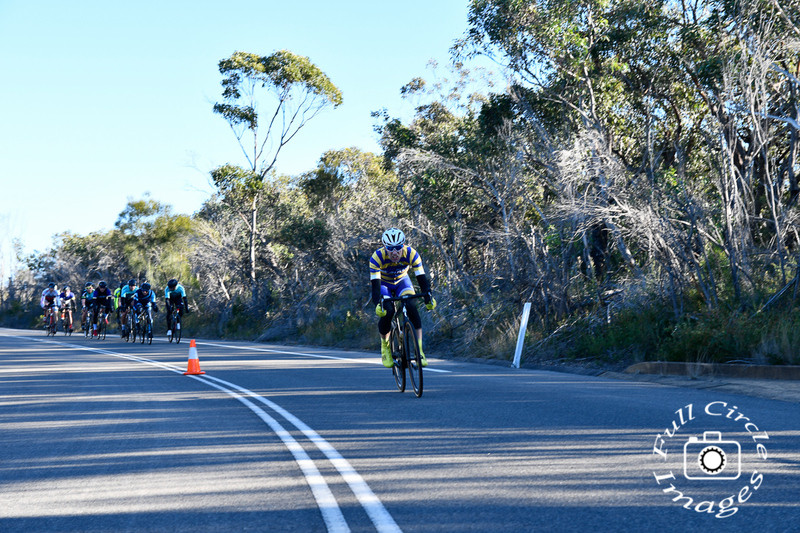 The Battle of the Bridge Series has brought out a number of riders from the rocks they have been hiding under and this included Darren Byers of RBCC who hasn’t raced at West Head in a number of years, but he returned to proudly represent his club and as usual, just missed the podium. Scott Davies of Cheeky was fifth. The final grade to roll out was our D Grade division. It was here that Northern Sydney would place their strongest riders to ensure that they would collect at least one win on the day. Adam Buttenshaw would take the weight of Northern Sydney on his shoulders like a giant rocked excavated by NSCC sponsor Moits and carry the red army to victory in D Grade ahead of MWCC rider Andrew Parsons and Scott Kestevens in third. Not far behind was our first female rider in Julie Hazlett of Cheeky Racing and the Cheeky riders would make it a clean 1,2,3 of female finishers with Amanda Burdett and Lucy Wales collecting the vital points on offer for their club. 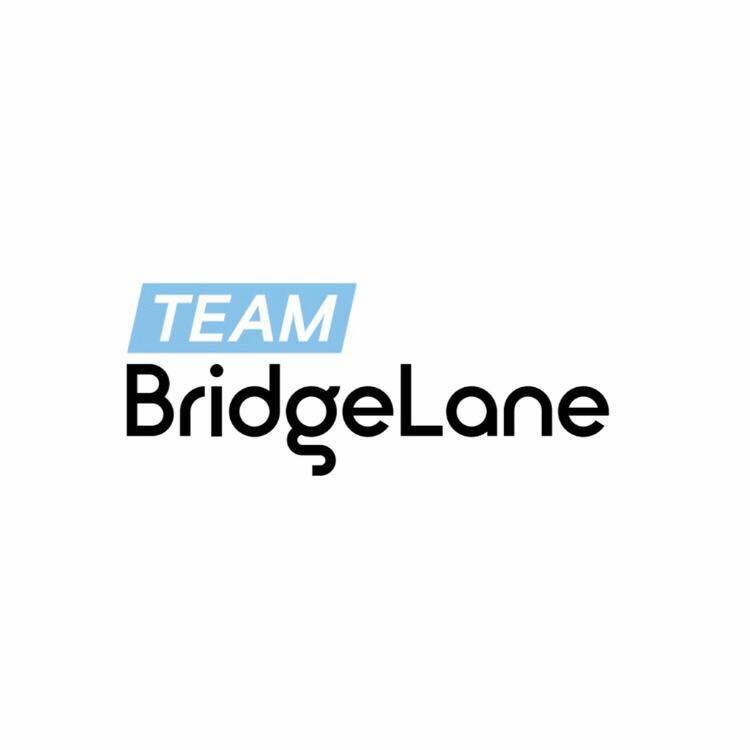 The day ran smoothly thanks to Race Director Angela Falzarano, Chief Marshal and Money Machine Pamela Saunders, Commissaires Antoni Mikac and Brad Ward, Traffic Marshal Lana Moy, Car Pilots Mark Rooney, Bob Mohan, Nigel Dunn, Mat Ashton and Alexis Kaless. At the northern turnaround thanks to Parklife riders who volunteers this month – Traffic Controller Russell Fox and Pat Coleman. 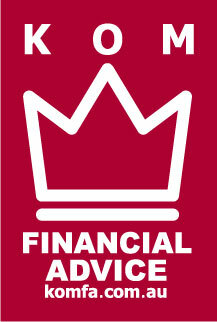 We also had Chris Ball on the sign on desk at the start. Thanks to Eyes Optical who provided a $300 gift voucher to one lucky rider on the day. Next round is hosted by Sydney Uni Velo at Heffron Park on the 29th of July. Mark this date in your calendars, because it is going to be another sell out for racing.